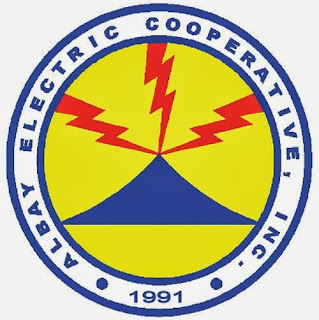 LEGAZPI CITY –The Department of Labor and Employment (DOLE) has ordered the employees earlier on strike of Albay Electric Cooperative (ALECO) to return to work to bring back normal operations and transcations. Legazpi City mayor Noel Rosal earlier said aside from bringing back the normalcy to Aleco transcations, the return to work order issued by DOLE would also fast track the billing and collection processes to meet the settlement of the P300-million outstanding power bills with Philippine Electricity market Cooperation (PEMC). Once again the cooperative was saved from possible disconnection after initially paying P40 million of its current P300M bills from the (PEMC). The DOLE has intervened in the labor dispute at the cooperative as tension escalated Monday last week due to the blockade set up by striking employers and members of the Albay Multi-Sectoral Stakeholders Organization (AMSSO) allegedly preventing employees from reporting to work and consumers from transacting business and paying their accounts. Some members of the Aleco Employees Union (ALEU) together with the AMSSO have been on strike since September last year against the takeover of the San Miguel Energy Corporation (SMEC). SMEC is the sole bidder of the concession agreement signed on October 29 last year with the Aleco Board. However the striking parties accused the Board of withholding to the public the said signed contract due to some provisions not inline with the stipulated terms of reference crafted by the Board. In response to their clamor, Rosal facilitated the provision of a copy of the concession contract to lawyer Donna Escio of the National Union of People’s Lawyers.